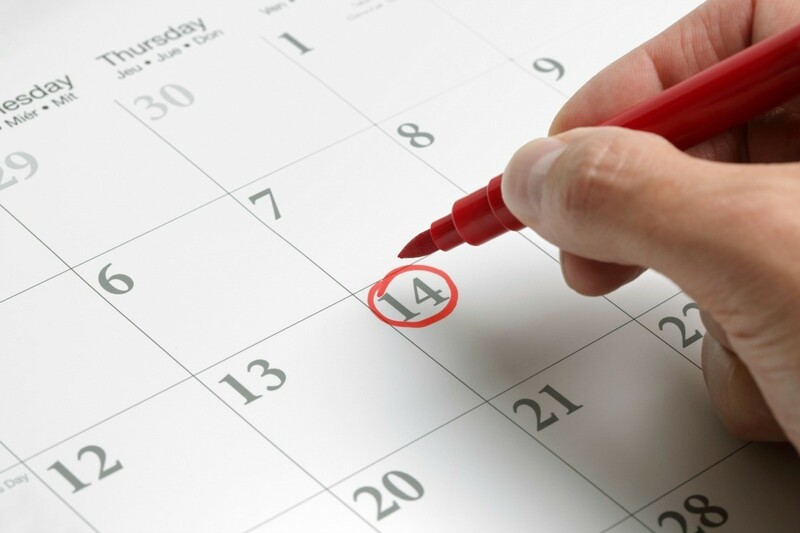 Despite the many electronic calendar options available, many people still use paper calendars to organize and plan their activities and appointments. This is a guide about using a calendar. Hang your family calendar in the bathroom, right next to the commode. I know this sounds odd, but it is a great way to keep track of things. Everyone in the house will see it, and you'll have just the few moments you need to catch up and jot things down! As 2015 quickly approaches, I purchase a new calendar and write down all the birthdays of people I want to send a card/give a gift to. I use the 2014 calendar and go month by month to do that. Dr Smith 2:45PM and I put the sticky note on the date i.e. January 13th. Dinner with Connie 6:00PM at Forrester's etc. etc. That way, if I have to change the appointment time, I don't have to scratch it off. I just move the sticky note and write the new time down, if necessary. 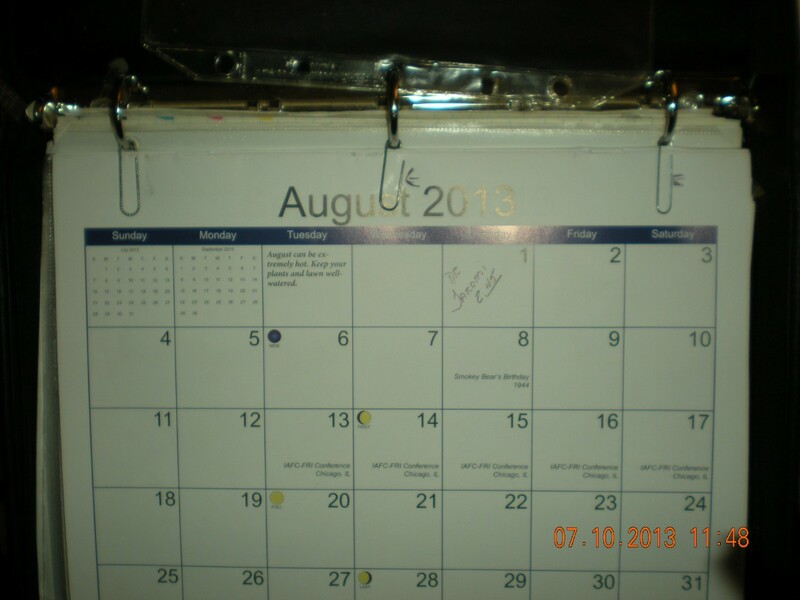 That way, my calendar stays fairly neat looking without ink scratched off all over the place. There are a lot of sticky notes per pad and they are fairly inexpensive. If you are like me, there are times that things get so hectic I wonder if I am going to survive. I found a solution that has worked well for me. Beside my computer, I mounted a calender on the wall with 1.5 inch squares. As an event comes up, I enter it in pen. As I am at my desk, it is easy to glance at the coming days and each weekend I look over my calendar to see what is coming up. The events that I have to attend or take notice of such as make a birthday call, I write over in a sharpie. Really important things, doctor appointments, etc. I make a circle around. If I am scheduled to be out of town I take a highlighter and make a mark through that day. That way everyone knows I will be gone at a glance. This has given me real peace of mind more than once. Hope it helps some of you. You know those calendars you get from vendors at the beginning of the year? I got so many I have them all over. Here's where I put one of them. When preparing your new calendar for the new year, ask your email buddies (that you feel close to) for their birthdays and anniversary. So you can keep in mind those special to you, at a quick glance. 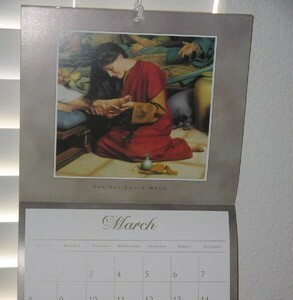 Buy just one calendar and hang it up by the front door or in the kitchen. Hang a pen on it so everyone in the family can write down important things to remember. Don't have a place to hang your calendar? 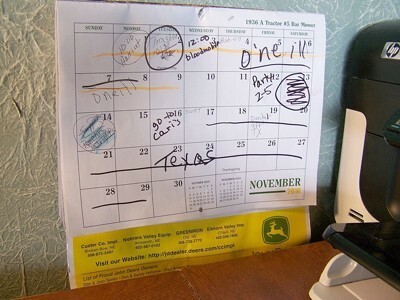 Loop a string from your blinds through the hole in the calendar and knot it. Now you don't have to have push-pin holes in your walls!